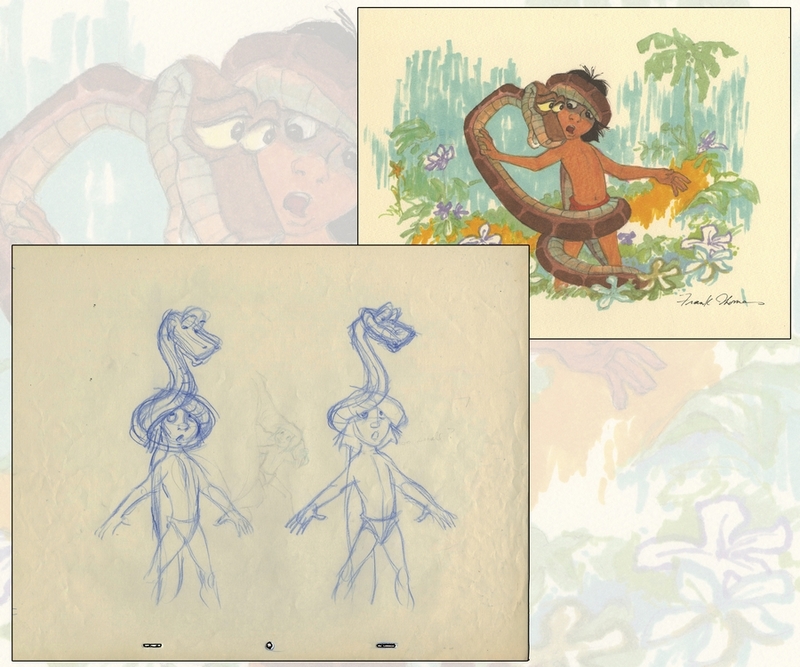 This is an original merchandise development drawing featuring imagery inspired by the classic Walt Disney Studios feature film, The Jungle Book. 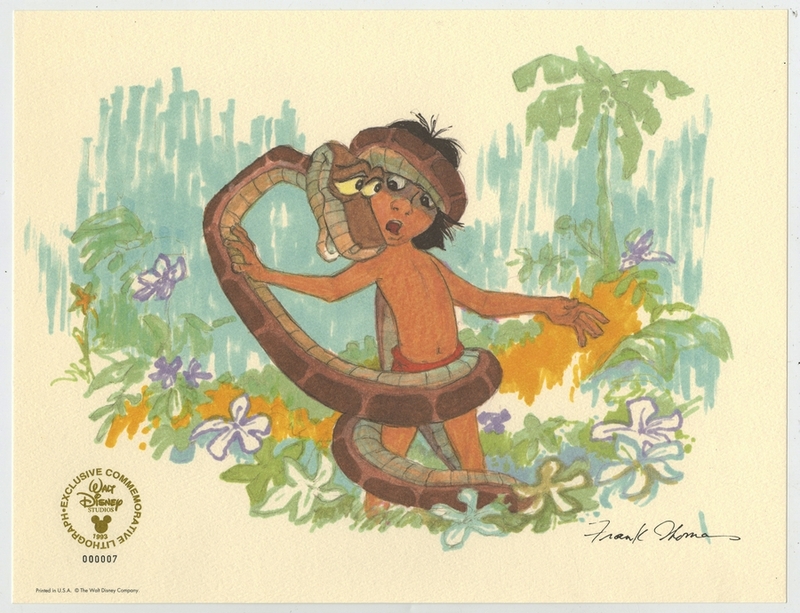 In the early 1990s, Disney Legend, and one of the Nine Old Men of Disney Studios, Frank Thomas was commissioned to create image for a series of limited edition prints for the film. 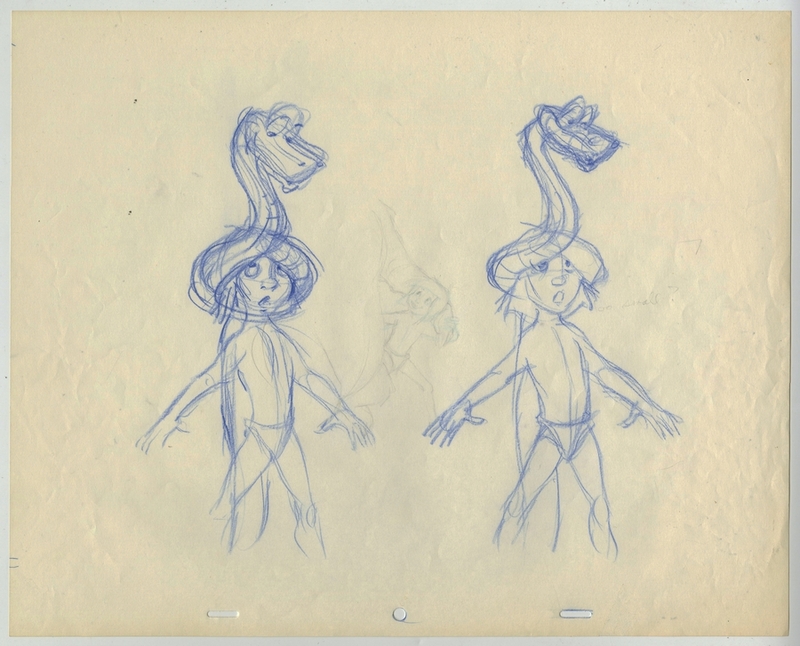 This design sketch is one of the original development pieces created by Thomas for this project. The drawing is created in Graphite on Paper with the sheet measuring 12.5" x 15.5" overall, and the image itself measuring 9" x 11". The piece is in excellent condition and came from the estate of Frank Thomas. This concept is also accompanied by one of the final prints.